Torrent available @6.2GB file size content. I will give it a shot...heck its free. I had a chance to get S.T.A.L.K.E.R. :LA about in the same time I got DR. I just played the few first minutes, I've got a lot to do now. This is time consuming, but not lost ! 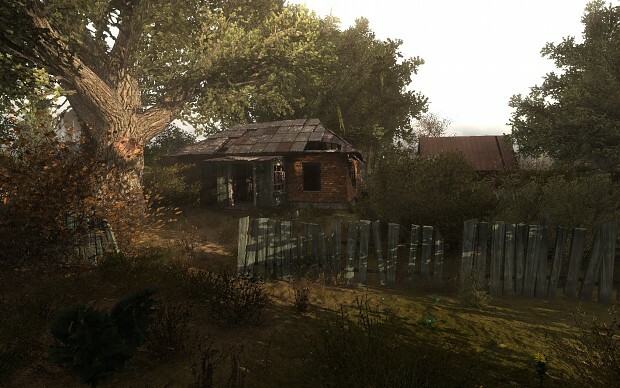 These few minutes of game were a beautiful rediscovery of Shadow Of Chernobyl. I apologize if my english is not well, I am not a native speaker. I will wait for a moment ! I finally installed Lost Alpha last night. After an hour of play I had not experienced any crashes...not to say non were lurking like snorks. I did notice the game wasn't keeping any saves I was doing. The screenshot didn't seem to be saved either in the program files folder, my pictures or appdata. Voodoom I'll have to look at the bug list link. Some Screen shots after reinstalling the game. Seems that installing Lost Alpha outside of the default Program files location lets you save the game progress correctly. Also it will let you take screenshots as well. STALKER camp outside the bunker. Some water spot looking for an artifact. I found Murray from Monkey Island lurking in Lost Alpha!! !